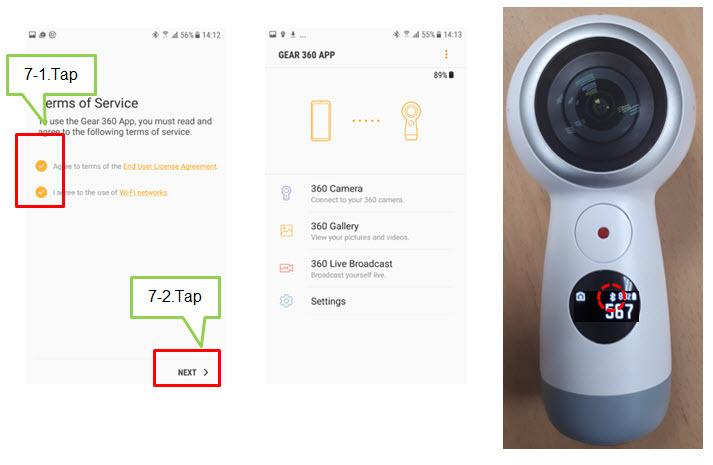 Q: How do I connect the Samsung Gear 360 to a mobile device? 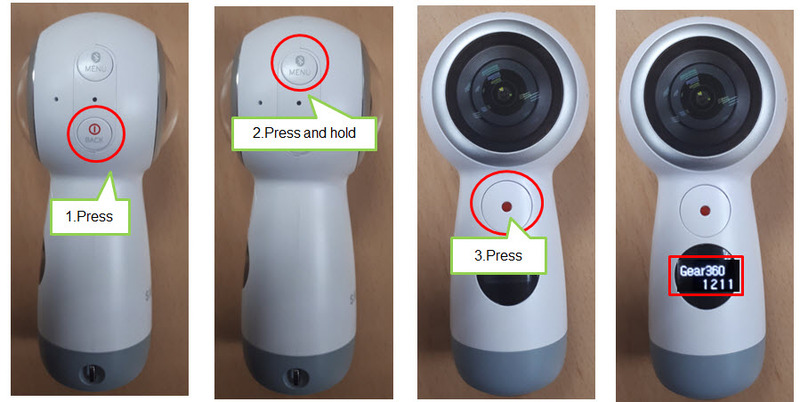 A: You can view videos or images taken with the Samsung Gear 360 on your mobile device or control the Samsung Gear 360 using your mobile device. Next, to control the Samsung Gear 360 from your mobile device, the Samsung Gear 360 must be paired with the mobile Device. 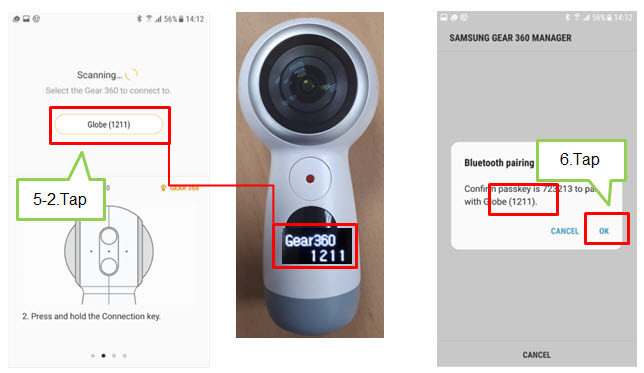 After the Samsung Gear 360 has paired with the mobile device, the Samsung Gear 360 will try to connect to the mobile device every time you turn on the Samsung Gear 360. Note: Connection methods may vary depending on your mobile device and its software version. To connect with an iOS device, connect the Gear 360 with the mobile device in the Wi-Fi network, launch the Samsung Gear 360 app, and then complete the connection. 1. Turn on the Samsung Gear 360. 3. When Connect to Android appears on the camera status screen, press the OK key. For iOS devices, press the Menu key again, and when Connect to iOS appears on the camera status screen, press the OK key. 4. Launch Samsung Gear 360 on the mobile device. For iOS device, launch the Gear 360 app. 5. Tap CONNECT TO GEAR 360. The mobile device will activate the Bluetooth feature and search the devices to pair with. 7. Read the Terms and Conditions on screen instructions and tick the check boxes . 8. 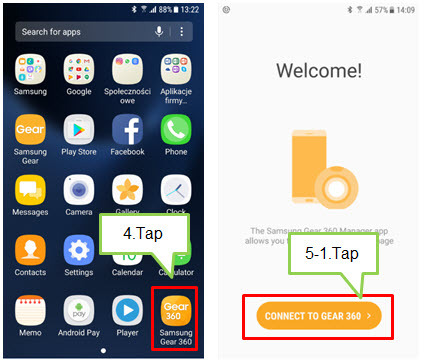 When the devices are connected, the Samsung Gear 360 app’s main screen will be displayed on the mobile device. Gear 360 (2017): How do I update the Gear 360 app?